Next Post How to make a decision. Have a wonderful trip. Looking forward to hearing and seeing all about it. Lol! You certainly don’t believe in packing light Danny – I laughed so much as I saw your packing list grow… and grow. Have a wonderful time! So glad to hear you’re bringing the pencil sharpener in case things get dull. Wish a successful trip for you. Fun and instructive to see what you are packing. Amazed that you can use all of the technology stuff. Can you really take all of that stuff? Looking forward to all the adventures you hopefully will share with us. The little I know about the food is that it is one of the most wonderful foods in the world. Enjoy. Exciting! Have a great time! I hate packing. And always have to have way too many art supplies. I love your paint tin in a business card case (it looks just like the one I got from Vistaprint) – where did you get the pans that fit in it? 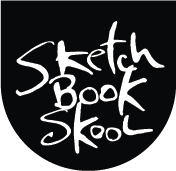 I’m surprised you have only one teeny sketchbook? But you might want to buy one while you are there – a good souvenir! Hanoi is filled with interesting people, culture, sights, smells, markets, history and well just everything was overwhelmingly wonderful. I spent 4 weeks in Vietnam with my MY SKETCHBOOK IN HAND EVERYDAY. .. for a total of 50+ pages filled with memories. The friendly people and children loved being included in sketches… not to mention the Women’s Museum, the Hanoi Hilton, memorials, temples, lakes, old town, motorcycles (everywhere), and interesting alleyways and architecture. Enjoy! Thanks for sharing with us. I’m interested in wood block inkwell too. Blessings on your joutney. Safe travels, art buddy~~thanks for sharing! Looking forward to seeing your next posts! Safe journey Danny – have a good time! I now officially stop concerning myself with taking too many art supplies when I go away—even if I don’t use them. Thanks for the inventory. Danny – your little “slice-of-life” videos are quite enjoyable to watch and very smartly done. An idea for an upcoming Kourse would be to show us how you do these little films – shooting, editing, putting them together. They’re especially attractive as an idea because it appears you’re making them all by yourself. Most of us with today’s simple but sophisticated equipment could make little films for ourselves but don’t have the know-how. A whole Kourse on “digital” would be very welcome. Several of the artists to date have made reference to doing digital work in various forms but they were brief and didn’t delve into the specifics of HOW-TO. I think a lot of us would be terribly excited to have a solid exploration into these areas. Have a great trip! I would love a blog post sometime on how you made those little inkwells with the base! What are the containers? Yes, several neat little travel size art supplies that I’d be interested in knowing where you got them. very cool! Vietnam has been on my list for years! Can’t wait to see and hear about your adventures. Safe travels my friend!